Zana Bell completed her PhD in Creative Writing through AUT University, focusing on Zimbabwe/Rhodesia and issues of race, feminism and colonisation. The thesis was accompanied by a novel called Finding Billy. Check out Zana’s impressive website. Barbara Unković completed her Master of Creative Writing from Auckland University with honours. Karen Phillips has received a preprint copy of her short story collection, A Question of Blood. Justine Payen has been sent a preprint copy of All Dressed Up, a reader for six-to-eight-year-old children published by Wendy Pye. Piet Nieuwland has had more success with his poetry: ‘Koru Kangaroo’ appears inForty Years of Titirangi Poets, edited by Ron Riddell and launched at Going West Festival Auckland 2017. His poem ‘Crossing Crossings’ appears in Truth Serum Vol.2 WISER 2017 (Adelaide, Australia). Several of his poems and flash fiction have been accepted for issues of Otoliths, Cordite and Bonsai Fiction, to be published later in 2017 or 2018. The Northland Branch 21st Anniversary will be held on Saturday 2 December 2017 at The Orchard in Whangarei. It will be a catered lunch and registration forms will be going out to members soon. Please contact Di if you have any old photographs of branch activities to share. Poets at TahiTahiOno will be held at 116 Bank Street, Whangarei, on Thursday 19 October, at 5pm. Gold coin door entry. Dirty Word open mic will be held at the Old Stone Butter Factory, Whangarei, on Wednesday 11 October, at 7pm. The Hokianga Film Festival will be held in Rawene from 20-23 October. Full details are available here. 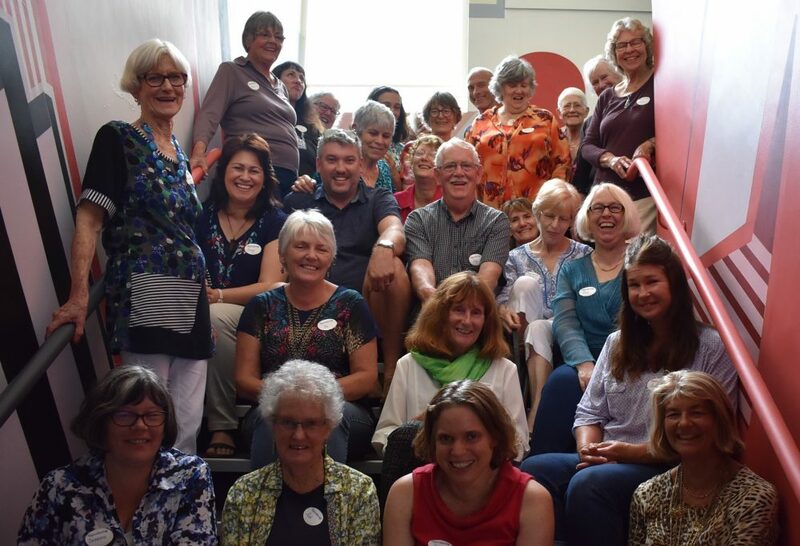 This year the Proctor Library in Kerikeri will once again focus on Northland authors for New Zealand Book Week. There will be a display of local authors and their books in the foyer. You can use this link to check whether your book is in the FNDC library system. If you aren’t on the list, you can search the library catalogue. If you are in the catalogue but not on the Northland list, contact Kathy and she will pass your name on to the librarian. If members’ books aren’t in the catalogue, they should contact their publisher or distributor to ask if the FNDC Library has been approached with their books. To celebrate New Zealand Book Week, the Proctor Library is hosting a talk by Alison Jones, author of Tuai: A Traveller in Two Worlds, on Thursday 26th October at 11am. The NZ Poetry Society is holding a conference and festival from Friday 10 November to Sunday 12 November in Auckland. Full details here.